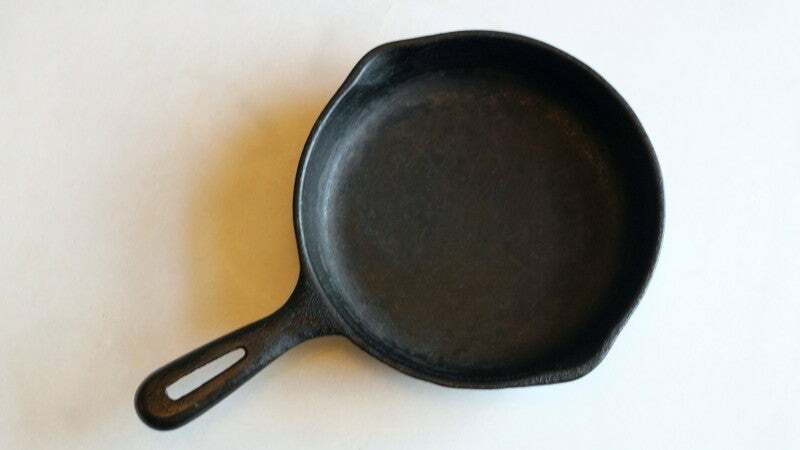 Everyone should own at least one cast iron frying pan. With one, you can roast whole chickens, bake a pie (of the fruit or pizza variety), or broil up a pan of cheesy dip. 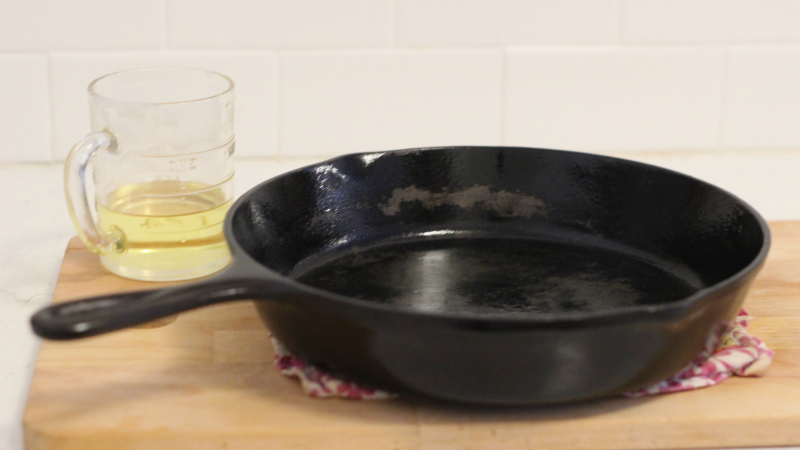 Cast iron does, however, require a little bit of care. 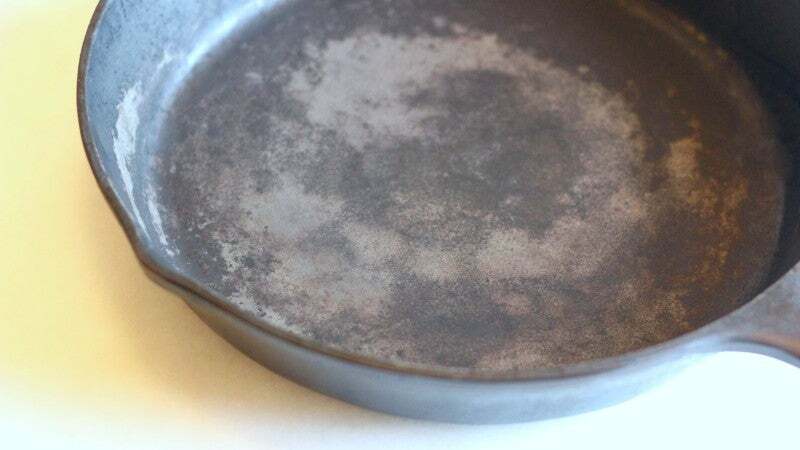 Even if you are very careful to clean and dry your pan (or other cast iron implement) after each use, mistakes can happen and you may find yourself with a rusty patch or sticky spots in your pan. In addition to any gunked up pans you may have in your home, op shops often have a ton of old cast iron that can be brought back to good working condition with a little TLC. Luckily, it's almost impossible to ruin cast iron and re-seasoning a cast iron pan is just as easy as seasoning it. First, you'll need to apply some elbow grease before applying some real grease. Clean off any gunk, grime, or rust by first washing your pan with hot, soapy water and a stiff bristle brush. Then sprinkle in a little Bar Keeper's Friend and rub it around with a scrubby pad until the pan feels smooth. 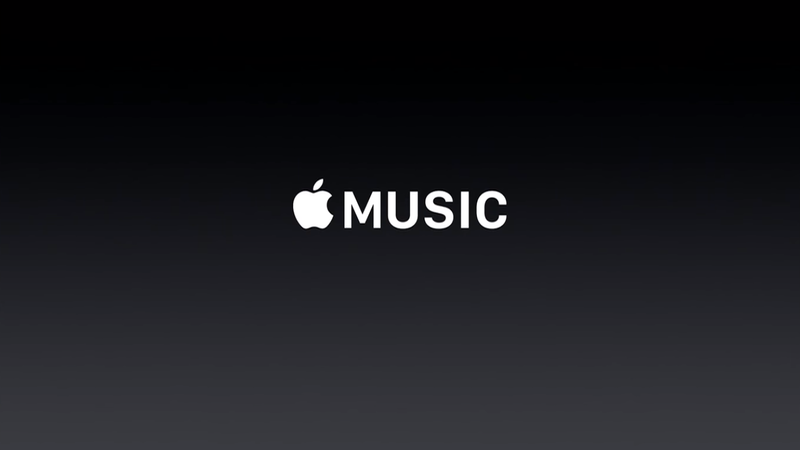 You'll see some grey metal peek through. This is fine. Rinse the pan well, dry it off and pop it a 200°C oven for ten minutes to remove any excess moisture. Remove the pan (use a potholder) and dip a paper towel or clean rag in an oil with a high smoke point (I use melted Crisco). Wipe a thin layer of oil around the inside and outside of the pan. Place a cookie sheet or sheet or alfoil on the bottom rack of the oven to catch any drips and place the cast iron pan on the top rack upside down. Let it bake for at least an hour, then turn the oven off and let if hang out in the closed oven until it cools. 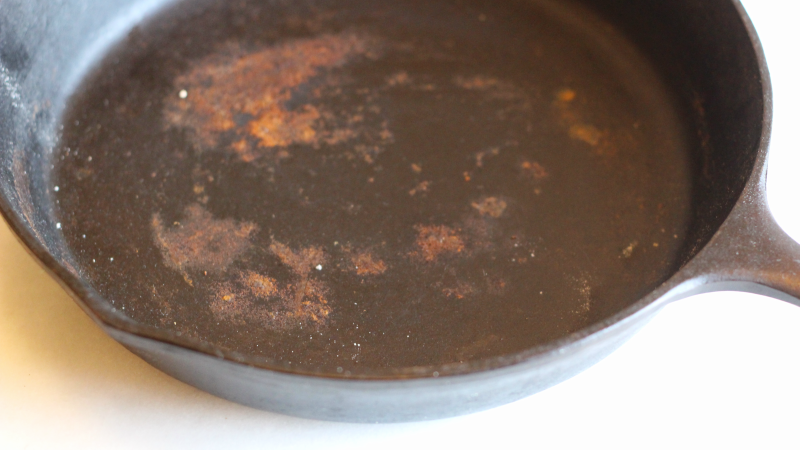 If there are still grey spots on your pan, repeat the oiling and baking steps until it's an even black.